So never start to read the internet at 5:30am when you’re attempting to get back to sleep. You’ll find something that invariably raises your hackles, and then you’ll do what I did — Spend the last five hours compiling images from research I did about three years ago, all on the Mars Rover missions. Why, you may ask, did I have such a compulsive melt-down? One key phrase says it all: Lack of Information. I swear to goodness, America — I love living here. I love being an American. But honestly, gang — if we get any more complacent we may as well be sleep walking. Any country that deifies Duck Dynasty and Honey Boo Boo deserves its misinformation. That being said, I do my best to try and balance that lack of information out, though I’m only one small Psychic human blogging from amidst a very, very large Big Sky State. I’d wager to say that most folks nowadays, during the latter part of 2014, are aware that we are not the only beings in the Universe. I would also wager to say that most folks nowadays are even open to the idea that a humanoid, or human-like, species may have been around for quite some time prior to ending up on this lovely planet we call earth. Of course, evolving on earth has made Human Beings our own special blend of grey area and “what the heck happened there?” But that’s another blog for another time. This blog is all about Mars. And it’s going to be a rather bullet-point piece because thankfully for everyone involved — it’s graphic heavy. So I’ll let the photos speak for themselves. 1) YES, Mars had (and has) life. 2) YES, part of our gene pool migrated here. 3) YES, Mars used to be in the Goldie Locks Zone in space that the earth now occupies, thus allowing us to maintain our atmosphere. 5) YES, NASA is very aware that there was (is) life on Mars. Which is why they are obsessed with colonizing it. In 2013 they were in the process of recruiting to doing so through a private company. Think about it. Human beings never want ANYTHING unless someone else has it first, and is currently using it. 6) YES, Martians were / are real. 7) YES, we are a very small part “Martian”. Our genome isn’t completely original to earth though has evolved hugely here thanks to the mix-in of other Offworld races as well as out own life that sprung up. Earth is like the USA. It’s a huge melting pot. What happens on earth– stays on earth. Like Vegas. 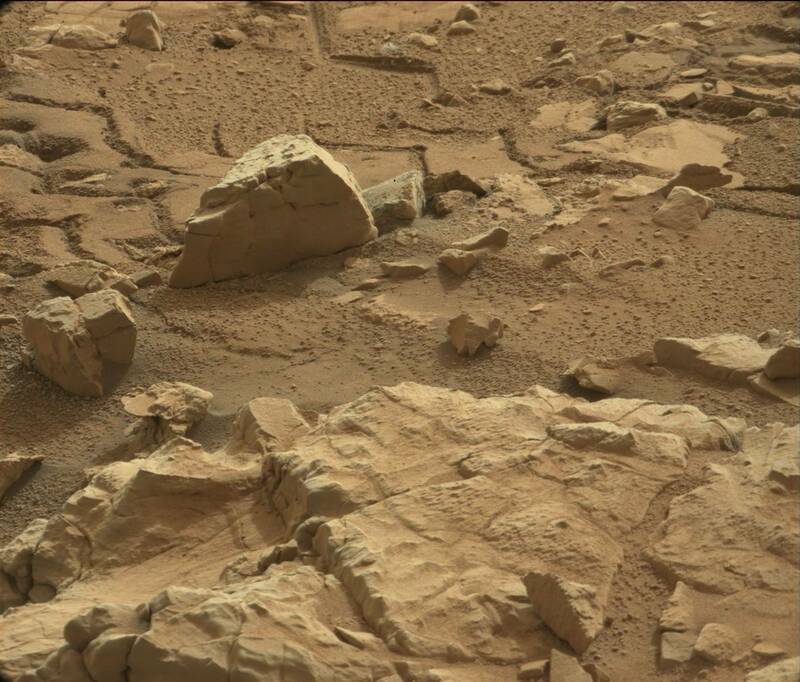 8) YES, there are archeological markers on Mars that show that sentient folks once lived there. 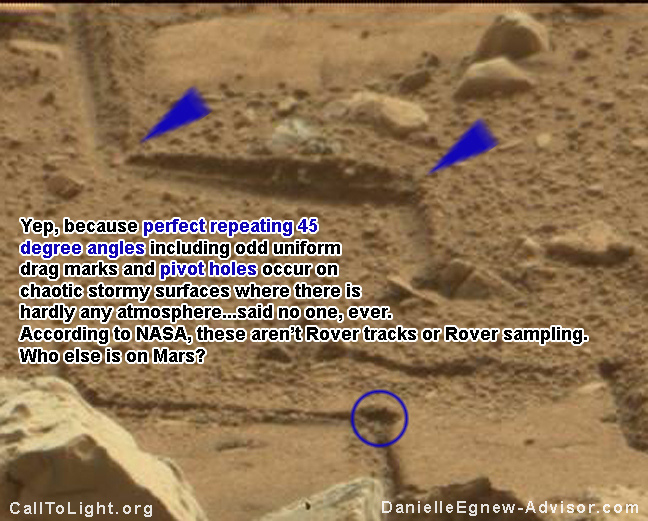 9) YES, I’ve compiled some of those here thanks to the Mars Rover missions. 10) YES, the are lame-o hoaxes and silly conspiracy theories out there. It still doesn’t change the facts. It just makes them sound lame-o and conspiracy-driven. 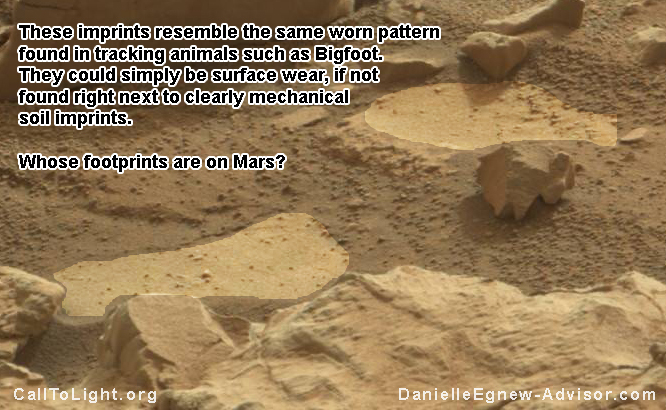 11), YES, I’ve been talking about the Mars artifacts being made public for the past two years. In fact, they have been. 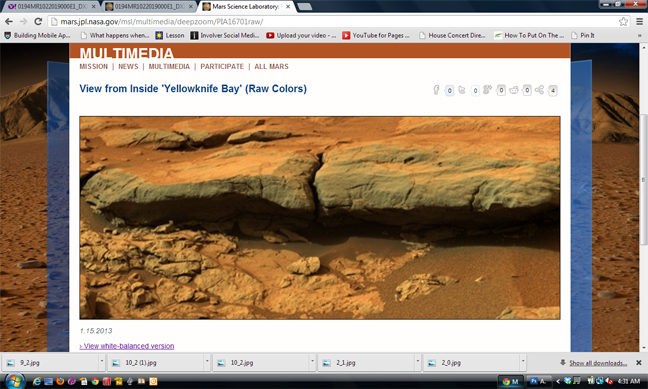 Hiding in plain site on NASA’s Mars Rover page, so check them all out yourself when you get a chance. NASA is brilliant for posting nearly everything they have (Except for the big photos of huge stone structures. That would wig people out a little too much.) because it’s a sea of reddish photos that anyone with a thinking mind would want to bail out of, rather than comb through. 12) YES, I was drawn to certain images on the Mars Rover site that out of the bazillion of them — contained very pertinent information. Thank the angels and guides for that assist. Personally, my eyes were crossing at what looked like an endless stream of photos from a family vacation at the Mojave. 13) YES, there is still life on Mars, though they took to living in a subterraneous manner because of the atmospheric hiccups. 14) YES, NASA has pictures of them interacting with the Rovers. 15) NO, the photos of Mars life interacting with Rovers are not posted on NASA’s Mars Rover website. 16) YES, they look like weird Disney-creature selfies during a break-out scene of “Despicable Me”. Not everything in the Universe is terrifying, folks. 17) YES, there is a LOT of very viable information online from people just like me who are wonky enough tot actually take the time (or be directed to post) this information, in order to prepare folks for actually meeting our OffWorld buddies face to face. Let’s all not act surprised when that happens, okay? That will be more awkward than Americans who travel abroad and claim that they thought France was owned by Canada. Now let’s get to the best part — the photos! Because one doesn’t spend a few years compiling this stuff, and hours putting it together, just because it’s fun. Well, it was fun. But I’m just saying. There’s a purpose here, people. Mars doesn’t have water, huh? I’m not saying there isn’t methane on Mars. There is. I’m not sayinf there aren’t other substances like Oxygen that can make a watery-like substance. There are. What I’m saying is that this is WATER. It that it takes a TON of pressure, gravity, and / or heat to compress methane into a pool. Mars has none of those ingredients. We have methane pools at the bottom of the ocean where billions of tons of pressure form it into a liquid. Venus is 900 degrees on the surface and is a stinnky and toxic methane pit. Mars isn’t packing that kind of push. Where there is water, there is life. Again, back to the part about the earth colonizing ove there. We never go anywhere that isn’t beneficial for us. At least NASA is claiming that Mars “may” have water on it, or had it in the past, and it’s now all in ice. Except for that ground water puddle there. We are the only intelligent life that has ever, ever, ever investigated Mars — and we’ve used robots first. Um… does someone want to explain what in the heck the following items are doing in the photo, taken as a stagnant shot from a passing Rover? Like that OBVIOUSLY drawn-in-the-sand mark, the other one that’s kind of worn away, and those two footprints in the foregound? If you spend time with the Mars Rover photos, you’ll easily see that the Rover has a very distinct footprint from it’s tires. And it does all sorts of funky surface investigations — none of which involve drawing squigglies in the sand. 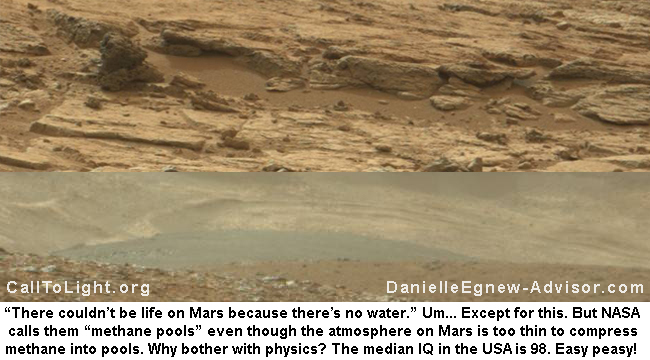 There has never been any intelligent life on Mars. Please feel free to share this with anyone who won’t accuse you of wearing a tinfoil hat. And please visit NASA’s website whihc actually provides all of these awesome original hi-res photos for your persusal — http://mars.jpl.nasa.gov/mer/home/ . You can have fun like I did, finding all sorts of stuff. That is, if you don’t mind staring at hundreds of red photos full of red rocks. That’s kind of a buzzkill. But remember — they can’t say they didn’t tell us. We can only say we didn’t look. 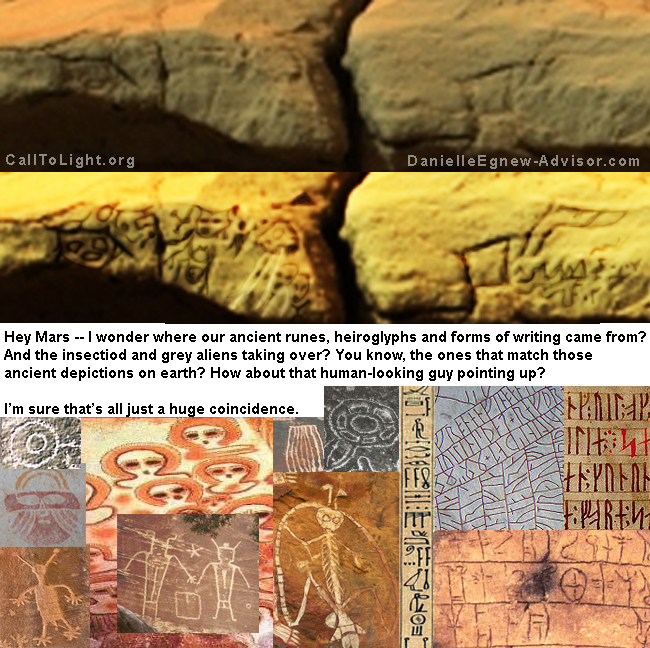 This entry was posted in UFOs / OffWorlders and tagged alien conspiracy, Artifacts on Mars, Heiroglyphs on Mars, Is there LIfe on Mars?, life on mars, NASA Mars Missions, OffWorlders, Petroglyphs on Mars, photos of footprints on mars, photos of life on mars, UFO. Bookmark the permalink. My wife found your blog a few months ago and we have been enjoying it. Now she is visiting your older posts. Thank you for trying to bring some semblance of intelligent information into our trying times. I myself meditate sending out love and healing energies to our family and out to all the universes. I, like you believe some of us have our roots from Mars, some from other places and/or universes plus those that evolved here on Earth. I basically see humans broken into two basic groups and one of my criteria is if they prefer looking at the ocean (ancestors originated here) or the sky/stars (ancestors ‘flew in’).